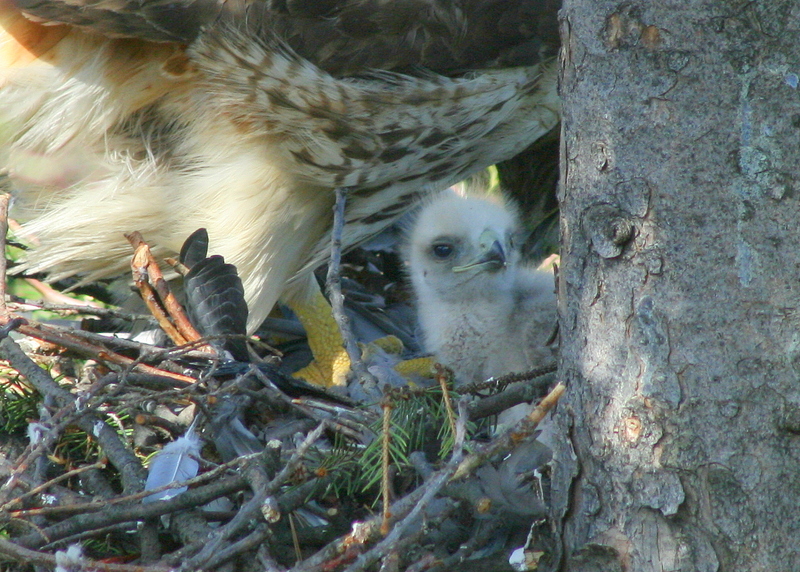 The Hawk chciks continue to grow and it appears that there may be a thrid chick in the nest! The female otday brought a pigeon back to the nest and tore apart the bird to feed the eager chicks! 5 photos posted: http://www.pbase.com/birdshots/image/150381660 Click “next” in upper right to advance frmaes….enjoy!